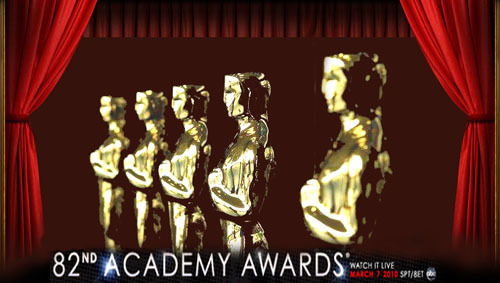 The 82nd Academy Awards ceremony, presented by the Academy of Motion Picture Arts and Sciences, will honor the best films of 2009 and will take place March 7, 2010, at the Kodak Theatre in Hollywood, Los Angeles, California and will be televised in the United States on ABC. 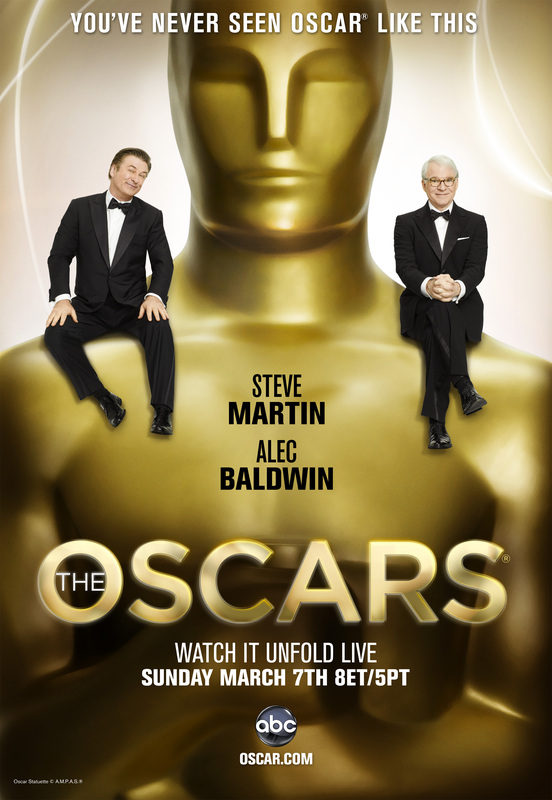 Actors Alec Baldwin and Steve Martin will serve as co-hosts for the show. 44-D’rs will be live chatting the ceremony as well. Please visit www.chatroll.com to set up your chat account (this only takes about 10 seconds), and then come back here to join us in all the fun! If you didn’t already download/print your Oscars ballot, please click here. 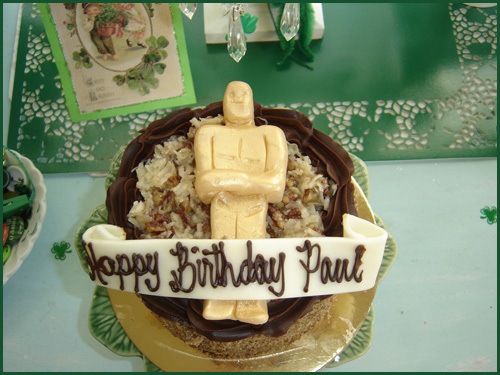 Wishing him the best birthday ever!! Our fellow founder and friend, GeoT! Beverly Hills, CA~~The Academy of Motion Picture Arts and Sciences announced today that, should “The Hurt Locker” be announced as the recipient of the Best Picture award at Sunday’s ceremonies, only three of the picture’s producers will be present for the celebration. The fourth of the film’s credited producers, Nicolas Chartier, has been denied attendance at the 82nd Academy Awards® as a penalty for violating Academy campaigning standards. Chartier had recently disseminated an email to certain Academy voters and other film industry figures in which he solicited votes for his own picture and disparaged one of the other contending films. Academy rules prohibit “casting a negative or derogatory light on a competing film.” The executive committee of the Academy’s Producers Branch, at a special session late Monday, ruled that the ethical lapse merited the revocation of Chartier’s invitation to the Awards. 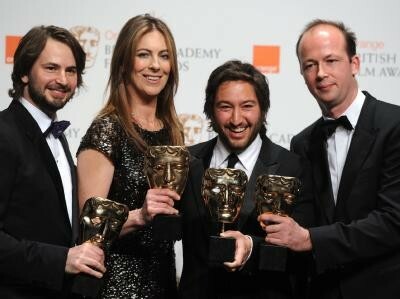 The group stopped short of recommending that the Academy governors rescind Chartier’s nomination. If “The Hurt Locker” were to be selected as Best Picture, Chartier would receive his Oscar® statuette at some point subsequent to the March 7 ceremonies. Star in Your Own Oscars® Viewing Party! Event Producer Cheryl Cecchetto shows you the “10 Must Haves” to throwing an awarding-winning party; Master Chef Wolfgang Puck cooks and provides you with delicious and easy-to-make-at-home recipes; Executive Pastry Chef Sherry Yard shows you how to bake a yummy dessert; and Moët & Chandon, the exclusive champagne of the Oscars, provides a special cocktail that will wow your guests. Invite your family and friends; download Oscar® ballots, party play-along games, recipes, cocktails ideas and much more. Predict the winners using this downloadable/printable Oscar® ballot. Cheryl Cecchetto (founder and president of Sequoia Productions) shares with you the 10 must haves to hosting the Best Oscar-viewing party in town! She’ll take you step-by-step from invites to games, from décor to food. Everything you need to throw an award-winning party for your friends and family. Serve sparkling apple, pomegranate, or blueberry juice – for a bubbly toast at any party! Mix cranberry juice with lime soda and add a twist of lime for an elegant beverage. Oscar’s Master Chef Wolfgang Puck shows how to make blinis with smoked salmon and dill cream. The little flour pancakes known as blini are a traditional platform for serving smoked salmon. Toasted Brioche circles for buns, and topped with Remoulade, these sliders are elegant enough to serve at a wedding. Allow three burgers per person and top with tomato, arugula, and cornichon slices. Forget about the greasy, tasteless spring rolls you once tasted from the take out restaurant. These are wonderful, crisp, fresh-tasting morsels that look a lot more complicated to make than they really are. These are meltingly tender and flavorful short ribs. To make them even neater to present and easier to eat, ask the butcher to bone the short ribs for you. Feel free to dredge them with all-purpose flour instead of the matzoh meal. You can top the pizza with Sevruga, Beluga, or Osetra caviar; less expensive salmon roe or just chopped fresh chives. To make the pizza ahead, bake it for just 5 minutes; then, just before serving, complete the baking and top the pizza. Sherry Yard demonstrates how to create molten chocolate lava cakes. Close your eyes when you take the first bite of this cake. Roll it across your tongue and let the flavor linger. If you’re a chocolate lover you’ll be transported. 44-D’s Virtual Red Carpet to the Oscars® ~ Vote Now! 44-D’s was given official press credentials by the Academy of Motion Picture Arts and Sciences® and we’ve been bringing you up to date information on the 82nd Academy Awards® nominees, films, and ceremony activities all month.